A bit like the officials at Wimbledon, I had my eye on the weather this weekend. Without a retractable roof to cover my garden I needed a dish that was going to compliment our unpredictible British summer. 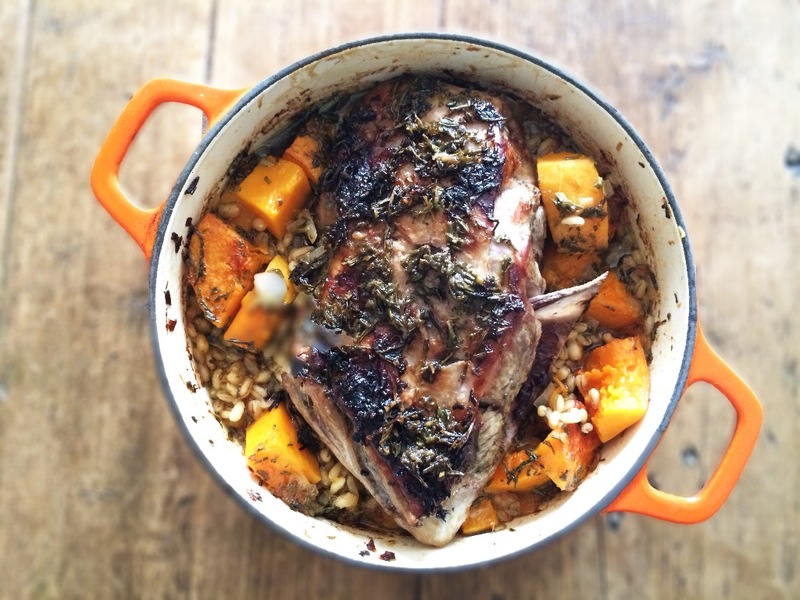 The short cooking time on my butterflied all-weather lamb keeps things light for a summery(ish!) afternoon. And you just need 15 minutes of sunshine to finish it off on the barbecue to get a lovely smoky flavour. Place 3 cloves garlic, 2tbsp olive oil, a small handful mint, 1tbsp rosemary leaves, a small handful basil leaves, the juice from 1 lemon and 1 deseeded chill in a mini chopper or food processor. Process for 1 minute. Place a 1.5kg butterflied leg of lamb (See Britalian Kitchen Tip) in a large baking tray. With the tip of a knife pierce the skin all over. Massage the rub all over the surface, working well it into the slits. Roast, uncovered at 200′C, 180′C fan, gas 6 for 40 mins. If the weather holds out, you can finish it off on the barbecue, place on the grill for 15 mins, turning once. Allow to rest for 15 mins before serving (Full-on rain? Rest for 15 mins after removing from the oven and serve – it’s still delicious). 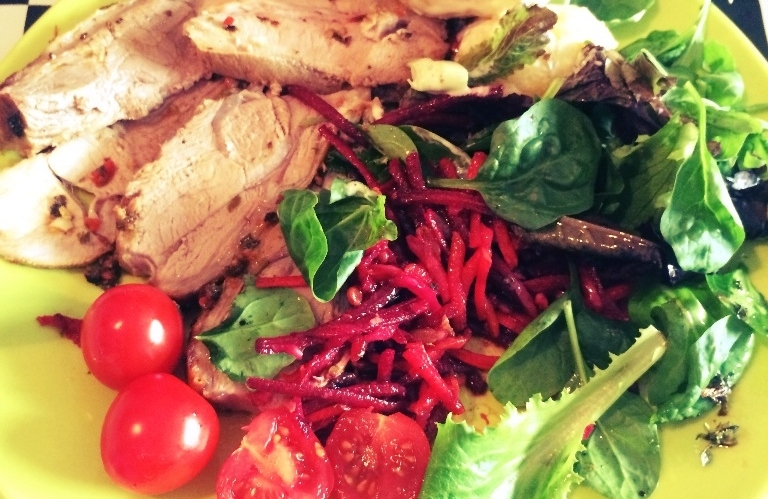 Serve with a Cumin, beetroot & fennel coleslaw and potato and green salads, if liked.